The Rebel Sweetheart. : Spud 'n Squishy Baby Shop | Spotlight + Giveaway! Running an online store is not a walk in the park. I know, because I used to be an online seller myself. Despite the challenge, it was fun for the most part - and quite lucrative, too. But after giving birth to my son, I found it even more challenging - if not impossible - to juggle mommy duties, household chores, plus managing an online store all at the same time. I eventually gave up the latter, after being active in the online marketplace for almost five years. And that is why I take my hat off for mompreneur Jade - online seller, and mother of two. She is the woman behind Spud 'n Squishy Baby Shop, an online retail store that provides eco-friendly, natural/organic, top quality products. The store was named after her two kids, whom she fondly call 'Spud' and 'Squishy'. Aside from being her inspiration, the two boys act as quality control inspectors, too. Most of the products available in her store have been tried and tested on Spud and Squishy. And because Jade has kids of her own, she knows that every parent wants nothing but the best for his/her child without having to break the bank. 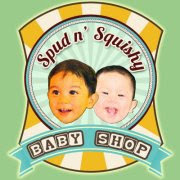 As such, Spud 'n Squishy Baby Shop provides its customers with best-quality products at practical and affordable prices. Guaranteed safe for babies and eco-friendly, too! Just recently, Spud 'n Squishy launched 'eSPUDrilles' - a new and exclusive line of espadrilles for babies and toddlers. 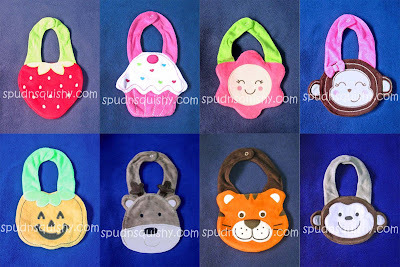 With prices ranging from Php 370 to Php 410, and designs for both boys and girls, these eSPUDrilles come in eco-friendly, reusable pouches, too! Little girls are in for a treat with these cute and colorful hair trinkets by Dainty Ashley. 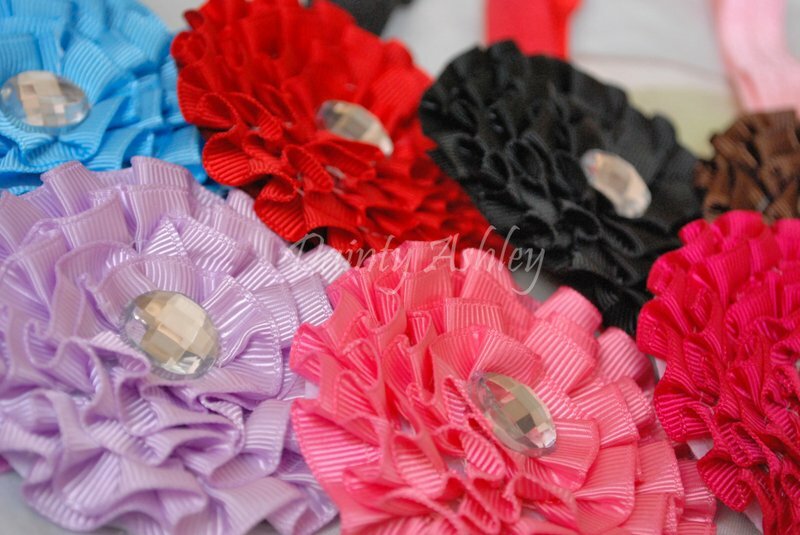 There's an array of designs and colors to choose from, and prices range from Php 160 to Php 185 only. 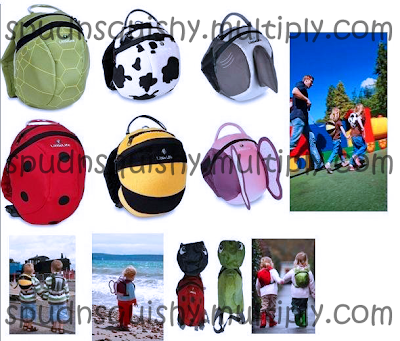 If your child is already schooling (like mine), here's a fun way to jazz up their uniforms - LittleLife Animal Daysacks! These ladybugs, bumblebees, and butterflies are roomy enough to hold snacks, nappies, extra clothes, and even toys. And they're currently on sale at Php 800 only. Jade is giving you all, my dear readers and followers, the chance to win goodies from her Spud 'n Squishy Baby Shop! She's giving away these Cartoon Towel Bibs to ONE lucky reader! And the winner gets to take home THREE Cartoon Towel Bibs of his/her choice! I'm sure you all know the drill by now. Wait for the Rafflecopter to load, and earn entries by completing the tasks. The more tasks you accomplish (they're easy peasy! ), the more entries you get. That means better chances for you to win! Ready for another great giveaway hop? Join the Bloggers Giving Back Baby Bash hosted by Makobi Scribe and MomVantage with the grand prize as a Diaper Cake from Diaper Cake Walk. Enter the grand prize giveaway here. The idea of this hop was to give back to the community and donate the items that bloggers received to review. I call my daughter NOA but her real name is Noelle Sabria. Noa means "from love" in Japanese. Got a unique nickname for your child/children? Share them here! I'm not updated with the new online shops but this one, I have to check out. Love those espadrilles. i like those bibs and cutesy hair clips! I want that for my future daughter hehehe, giggly! I call my daughter Tetay, the buloy for prinsesa.. prin-teta.. then put y. LOL. I call him 'buging', because he's so coolit! i call my son "mahal" since he is the love of my life!